↑ S. Halevy et al. 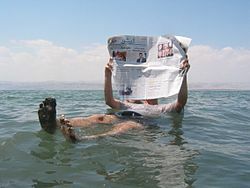 "Dead sea bath salt for the treatment of psoriasis vulgaris: a double-blind controlled study", Journal of the European Academy of Dermatology and Venereology, Volume 9, Issue 3: 237-242. 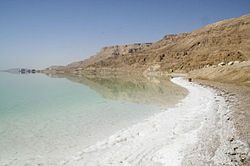 ↑ Is it true that nothing can live in the Dead Sea?